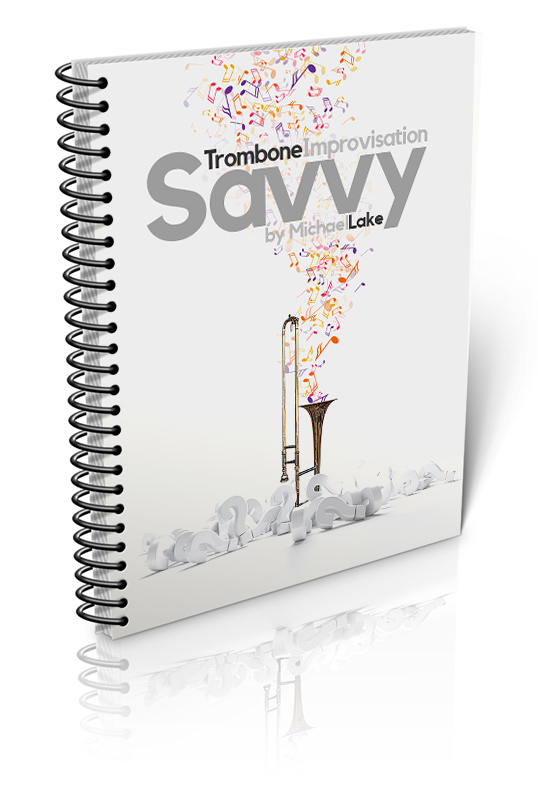 Trombone Improvisation Savvy is one of the most comprehensive books on improvisation dedicated to trombone. If you wish you could stand up and play melodically and fluently within the chord changes, surpassing the expectations of you, your bandmates, and your audience, this is the book for you. You've probably worked through books on scales and patterns and found that your improvisation isn't any better. In fact, maybe your solos sound like scales and patterns. The reason your improvisation isn't as good as you'd like or up to your potential is because you haven't worked on the core skill required for great improvisation. Trombone Improvisation Savvy begins with a variety of ear training exercises of varying levels of difficulty. 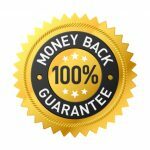 After going through these unique exercises, and working on melody, a bit of harmonic knowledge, and building your rhythm skills, part two of the book gives you 15 songs–most of them standards–for you to further your listening skills. 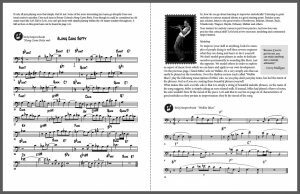 For each song, you are provided a lead sheet, recordings of me playing the melody, an improvised solo which is transcribed, exercises drilling the most difficult sections of the tune, and a bass clef transcription of a famous player's solo–not always a trombone player. “I’ve studied from a wide variety of books on trombone and jazz but Michael Lake’s book provided me something I’ve never before experienced. Within about an hour of working with one of the tunes in Trombone Improvisation Savvy - a tune I was soloing over with some difficulty in my band - I could now understand and hear the tune’s harmonic structure, I could play well over the most difficult sections, and I finally felt comfortable soloing over the entire tune. Even my bandmates noticed a difference in my playing at our performance." The nearly 20 page preview below will give you a good sense of the book as will the 16 audio files. Have fun playing over them waiting for your book to arrive.